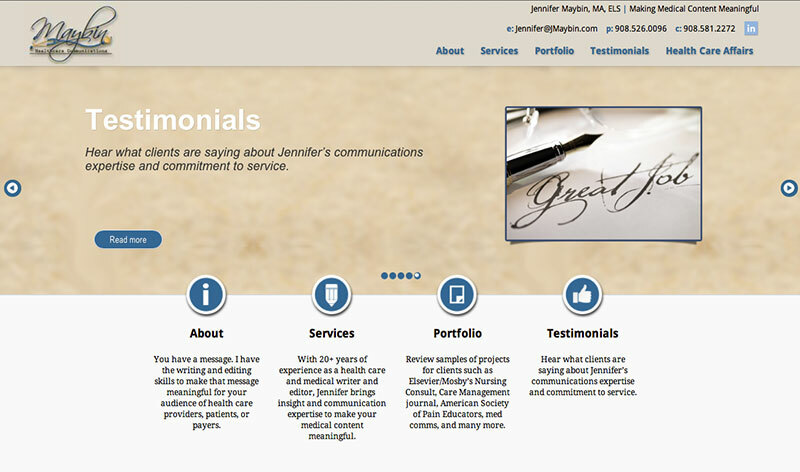 Jennifer of Maybin Health Communications has 20+ years of experience in health care and medical writing and editing. Jennifer thought it was time to update her web presence in a big way. She decided not only did she need a new site but she wanted to start a blog. I decide the best choice for Jennifer was not only WordPress but a custom Wordpress theme. This gives Jennifer total control over her content, and allows her to blog. A custom theme allows her a unique look.